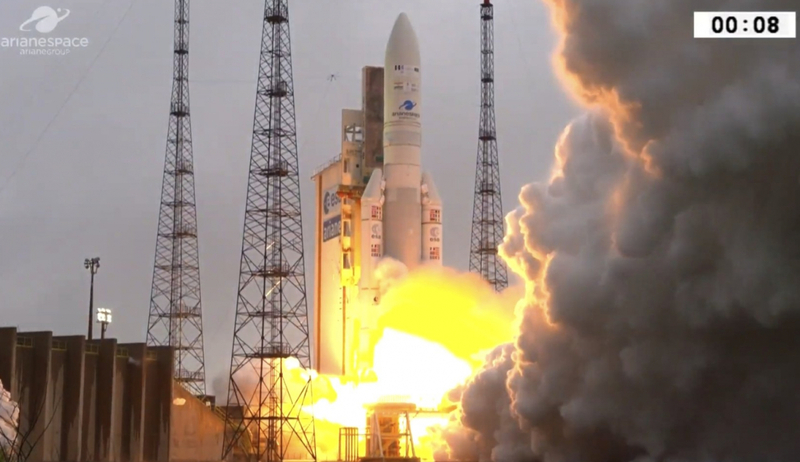 Ariane 5 opened her 2019 campaign on Tuesday with the dual passenger launch of two telecommunications satellites, Hellas-Sat-4/SaudiGeoSat-1 and GSAT 31. Liftoff from the European Spaceport in Kourou, French Guiana occurred on schedule at the start of a 61 minute launch window that opened at 21:01 UTC. Flight VA247 launched from Ariane Launch Complex No. 3 (ELA 3).